This Teaching is taught only in person by qualified teachers. Its confidentiality is respected for the sole purpose of "innocence"
and allowing each individual to have their own personal direct experience. the Art of Ascension as taught by the Ishayas. 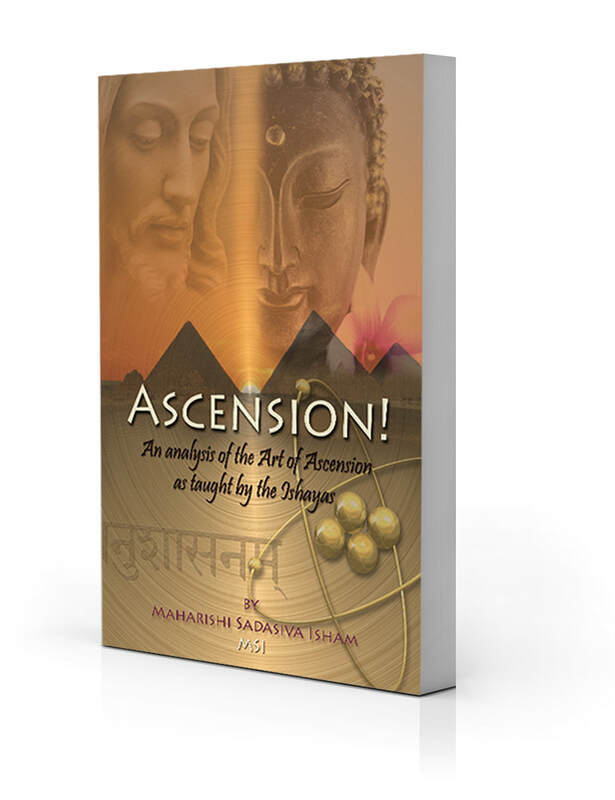 More on the analysis of the Art of Ascension is offered in the"Ascension" book written by MSI. NOTE: The Ascension techniques are referred to as "Ascension Attitudes" within the Teaching. The Source, the One, the Infinite is referred to as the "Ascendant". 1. Praise. The Praise Ascension Attitude corrects the fundamental stress of the modern world, that something is wrong with the individual life. 2. Gratitude. The focus here is on the objective world; this technique is designed to cure all erroneous beliefs and concepts about the body and the external Universe. 4. Compassion. This Technique clarifies the relationship of the individual with all other human beings and animals. * Together the first three techniques are capable of removing all beliefs and judgements about the limited nature of the three primary divisions of human life: subjective, objective and spiritual. These three Attitudes together are sufficient for anyone to climb to enlightenment. Further Techniques are for greater acceleration. 6. Lunar. Develops intuitive power of the sixth chakra. 7. Earth. Designed to facilitate the movement of Awareness, so vital for the development of Unity. 8. Peace. The 8th Technique here establishes Peace with all of relative creation, thereby further stabilizing harmlessness. 9. Beauty. Bequeaths the experience of the Reality of the most important aspect of the Ascendant. 10. Light. Develops perfect intuition. 11. Strength. The application of this Attitude structures the ability to heal any disease of the aspirant or of anyone else. It also develops celestial perception and Exhalted Consciousness. 12. Silence. The Twelfth Technique stabilized immovability of the Infinite Awareness and further established the relationship with Supreme quality of the Ascendant. 13. Mastery. Develops perfect mastery of the body and the world. 14. Power. This technique masters desire. 15. Center. Develops celestial perception and Exhalted Consciousness. 16. Invincibility. Develops the unchanging reality of perfect Love. 17. Glory. Develops the Sat (absolute) quality of the Ascendant and connects the individuality wih the perfect essence of Truth. 18. Bliss. Develops full use of the subhuman and further refines the seventh charka, sahasrara. 19. Love. Opens the doorway to imperishable physical life. 20. Wisdom. Mastery of this Technique result in the stabilizing of the refinement of Unity Consciousness known as all knowingness. Note: A highly refined level of consciousness needs to be achieved before these final techniques are learned. Revelation Techniques directly reveal the underlying nature of Reality. 21. Connection. Mastery of the first Revelation technique gives full knowledge of the connection of the Soul to the Ascendant. 22. Distinctions. Designed to burn away whatever is left of the limited individuality be diving directly in the heart of the Ascendant. 23. Characteristics. Develops perception of the Infinite light of the Ascendant in all varied forms. 24. Faith. Mastery of the fourth Revelations Technique develops complete knowledge of faith and perfect one-pointedness of attention. 25. Eternity. Stabilized the highest degree of awareness of the Chit (Consciousness) value of the Ascendant. 26. The Thread of Souls. The final Revelation technique develops complete awareness of the Sutra Atman; the connecting link between all souls. 27. Omnipresent Splendor. The final technique ties all the sundered parts of the personality together in the Ascendant to establish Unity permanently. The Seventh Sphere also contains the Advanced Techniques for the Eighteenth and Nineteenth Attitudes, collectively these are known as Immortality Techniques. To read further about the techniques in the Seven Spheres see MSI's book: "Ascension"- An analysis of the Art of Ascension as taught by the Ishayas. Bringing the East, West and Science together. From Seattle...to Greece and back. 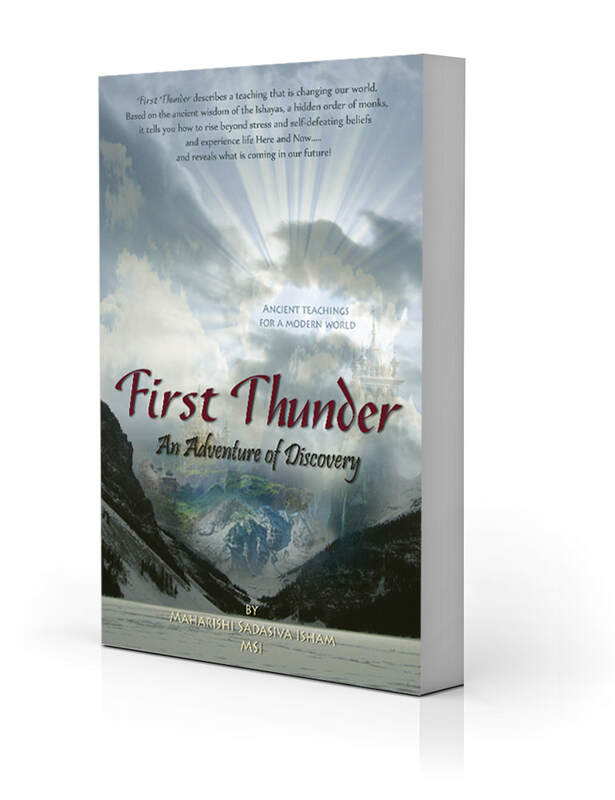 An Adventure Story about how the Teaching was discovered. 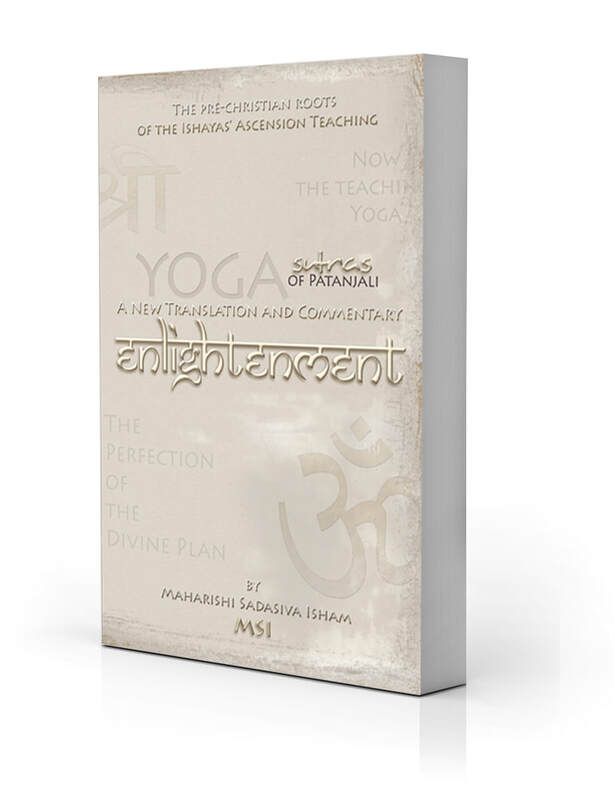 A new translation and commentary on Patanjali's Yoga Sutras.